Only showing entries about monkeys from Roaming the world. View entries about monkeys from all Travellerspoint blogs. Jaipur is't my favorite city in India by a mile. I love busy, buzzing with life cities of Rajastan, but there is something about Jaipur that just didn't sit well with me. It isn't as authentic as Jodahpur and not even ounce as hectic as Delhi. Although this is only one traveler's opinion. 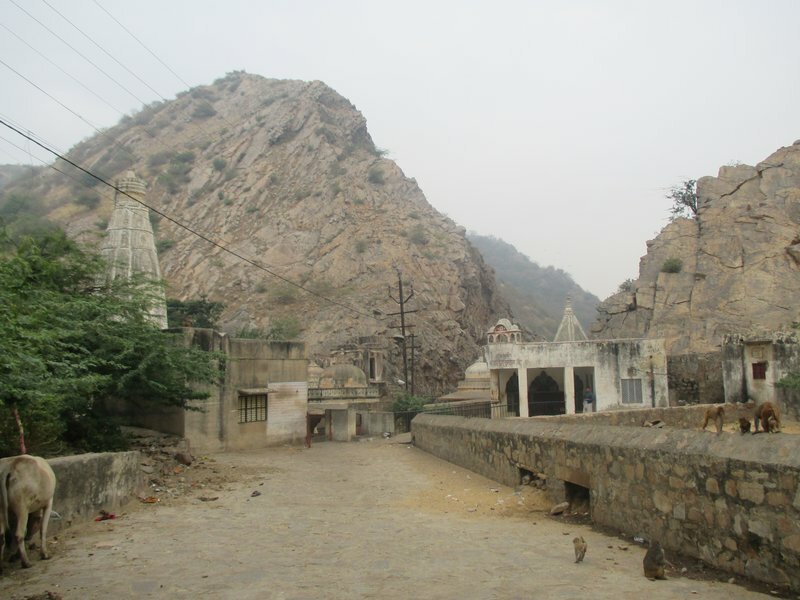 There is one place, however, that sunk in my mind - the monkey temple! 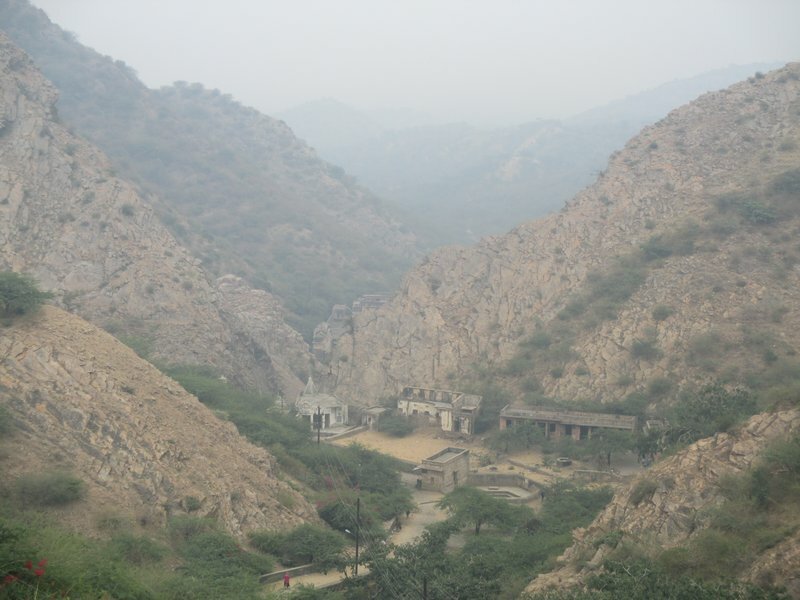 A place which sadly often bypassed by travelers who are too busy visiting Palace of Winds and Amber Fort. 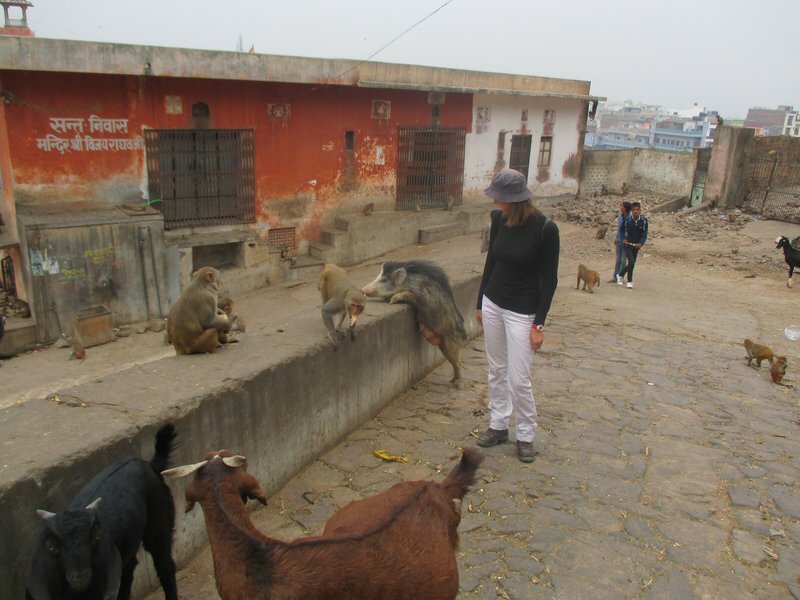 The reason you go to the Monkey Temple is - the monkeys! But not only, as soon as you cross the gate you see a perfect family of monkeys. 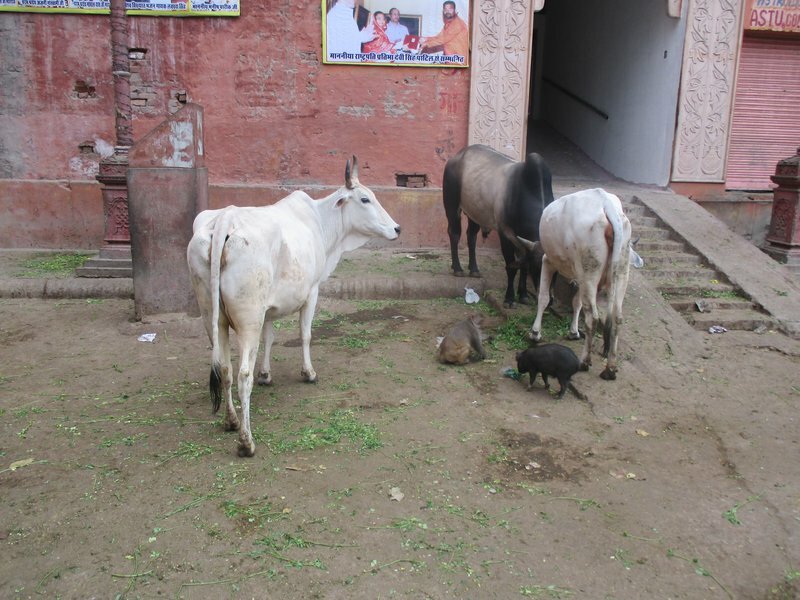 cows, goats and pigs all fiddling with each other. All of them are clearly very well looked after, we bought a bunch of bananas to feed, but really struggled to stick them to anyone. 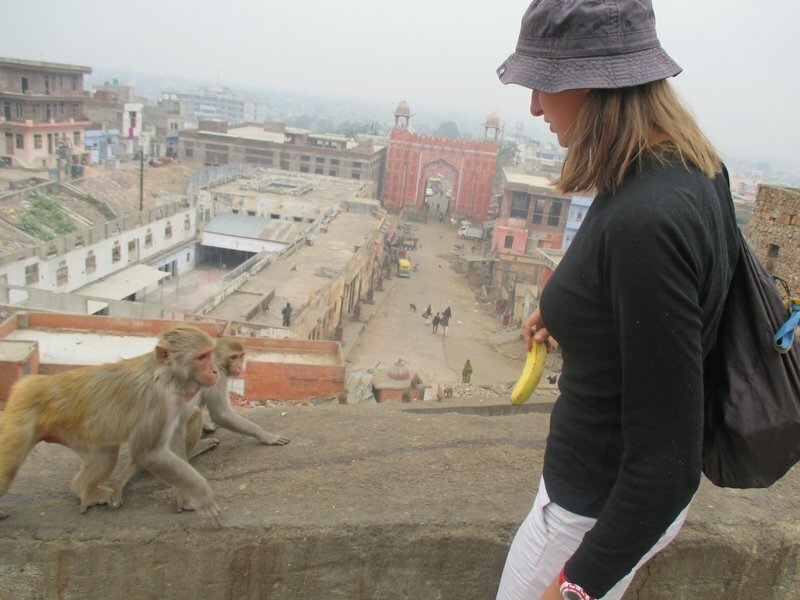 This picture is of Dovile trying to feed banana to a monkey. What you don't see is the monkey taking the banana reluctantly and than tossing it away. A minute later we saw an Indian couple coming with a stuck of chapati! Now it all made sense- these were Chapati Monkeys! The temple itself is actually very peaceful. You get a little bit of hustle for donations, but not more than any other temple and there are enough of donation boxes where you can deposit if you feel being a bit apprehensive about giving money to fake priests, which there are plenty in India. All in all a very good a half-day out doing something other than Palace-hoping in Jaipur.